« Precious Memories TCG workshops confirmed! OREIMO FOR PM IS OUT NOW! Hey peeps! 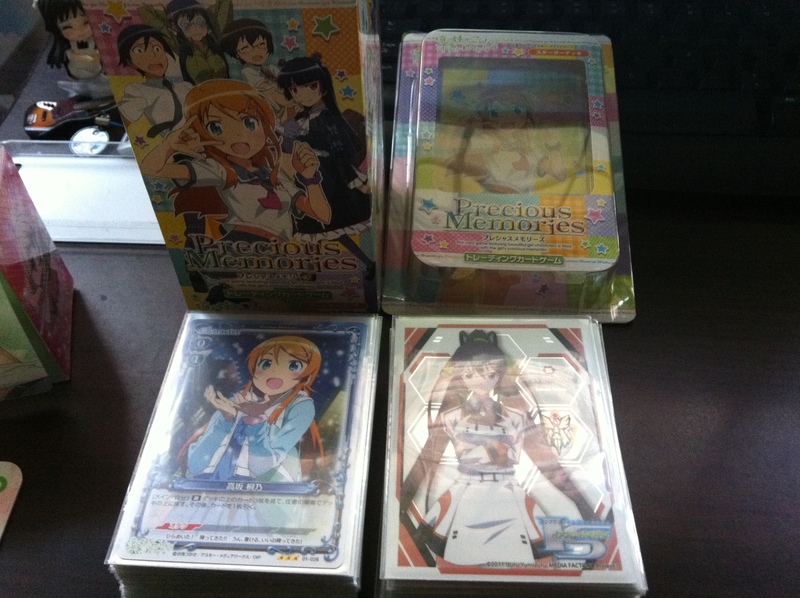 Just bought my Oreimo stuffs from Rapid Culture yesterday and here’s 2 pics of my stuffs. If you’re interested in playing this series, head down to Rapid Culture now get yourself a trial deck and buy some booster packs to mod your deck! If you’re unsure of the cards’ rarity, or effects and such, do not hesitate to ask around the crews at the shop, inclusive of Edk and I, on what you want to know! STGCC is coming up soon so Edk and I will be at the Rapid Culture store and maybe promoting PM there depending on whether we’re allowed to, I’ll post up more updates soon so you guys can come and visit us and learn a thing or two about PM if it’s possible! Hello, i just started to play this game and my 1st deck was Ore No…so i wonder you can teach me more…can you add my facebook as well? thanks. Hey there! I’ve added you on Facebook. You can always come down to Rapid Culture on Saturdays if you’re still unsure about some stuffs on the game. Nice to meet you! 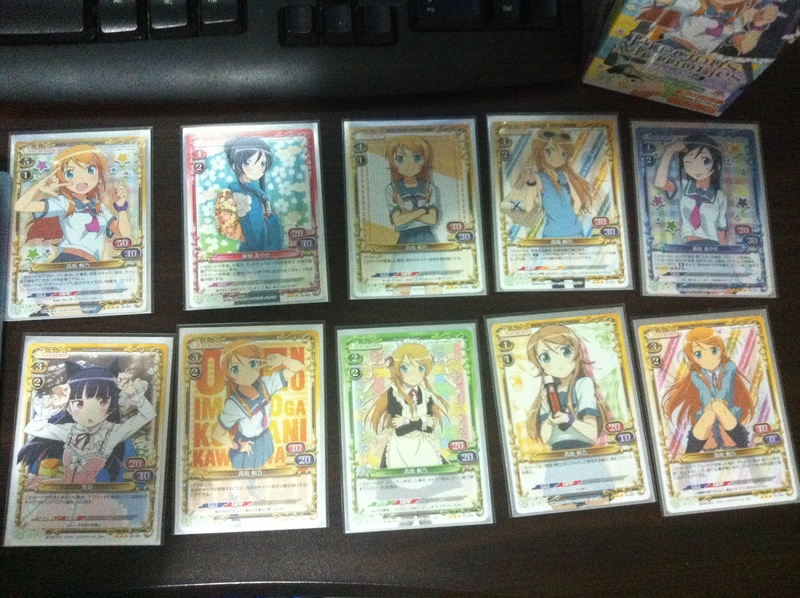 same here i would like to know some of my ore no imouto effects.^^ so… can u add me at facebook too?